NICB’s 2016 Hot Spots Vehicle Theft Report Released - Phoenix and Tucson MSA’s slide up the ranking list. Phoenix and Tucson MSA’s slide up the ranking list. PHOENIX – Last week, the National Insurance Crime Bureau (NICB) released their annual “Hot Spots Vehicle Theft Report,” which reveals Albuquerque, New Mexico as the #1 spot, along with six California cities that continue to report the highest per capita auto theft rates in the nation - https://www.nicb.org/newsroom/news-releases/2016-hot-spots-vehicle-theft-report. For 2016, Phoenix ranks #52 (compared to #80 in 2015) and Tucson ranks #89 (compared to #99 in 2015). Historically, Phoenix and Tucson MSA’s spent most of the early 2000’s at the top of the list for auto theft until 2008 when Tucson dropped to #13; Phoenix #19. Although auto theft rates have been down, this year’s preliminary FBI UCR data reflects a 6.6% increase in vehicle theft across the nation. Not only are the numbers of thefts increasing, but carjackings, police pursuits and reckless driving are also becoming more prevalent, putting the public at risk. 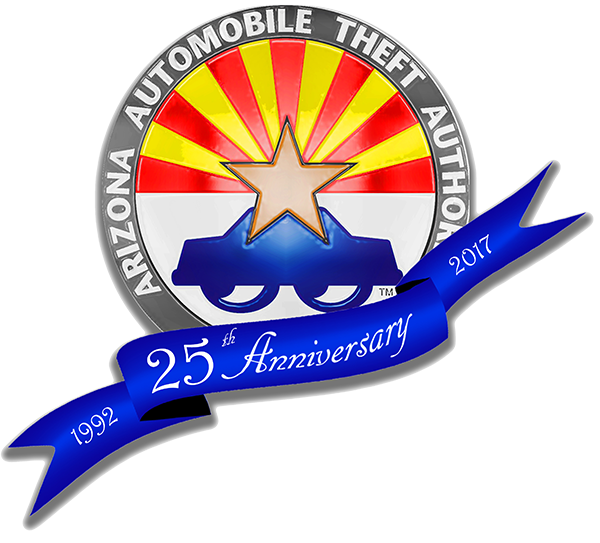 As the Arizona Automobile Theft Authority (AATA) celebrates its 25th Anniversary this year, (1992-2017) the agency vows to continue its fight against auto theft crimes in the state, with the support of our law enforcement, prosecution & community partners. • Always lock your car, close all windows and take the keys with you. serve as hiding places for thieves or carjackers. • Don't keep a spare set of keys in the car. About the Arizona Automobile Theft Authority (AATA): The State agency, funded through semi-annual assessments of over 400 insurance companies, functions as the lead organization in a statewide network of law enforcement, criminal justice and public awareness partners working together to combat auto theft crimes across Arizona. By focusing resources in these areas, the AATA and its statewide law enforcement partners are impacting the state’s declining auto theft rate. To learn more visit www.azwatchyourcar.com.